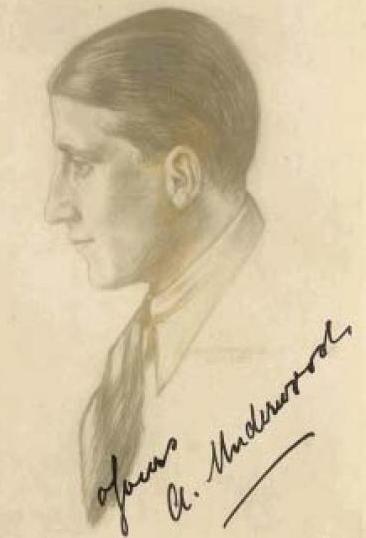 Alexander Theodore Underwood is noted as the author of a song printed in the second issue of In Ruhleben Camp (June 1915, p.39), entitled "Hab' kein Geld". The Imperial War Museum in London holds a photograph of Underwood as part of a a theatre group, he being seated on the bottom left next to a man with a pipe, which can be accessed at ID:7910-12 HU 37583. W. H. Urmson was recorded as a member of the Ruhleben Lancastrian Society in the Manchester Guardian of January 15th 1915 (p.12). The article is entitled "Interned in Germany: Lancashire's Civilian Prisoners: Full List of Those Detained at Ruhleben". His address was recorded as 3 Bellgrave Street, Liscard, Wall'sy. S. Urry was appointed by Powell, the camp captain, to be a committee member of the camp's Finance Department in March 1915, as recorded in the Scotsman on 29/3/1915 (p.8) and the Times on 29/3/1915 ("More and Better Food at Ruhleben" p.4 col A). The department's remit was to control and administer all camp funds and distribution of monetary relief. From a photo of a National Archives file from collection MT9, supplied by Marcus Bateman in March 2007, it is known that on November 30th 1916, Ruhleben inmate Vahid (or Valrid, of the Tea House Barrack) was transferred to the Offiziers-Genfangenenlager Celle on leave from the camp. (Camp Changes, Supplement 10). Many thanks to Marcus. The National Archives in London hold documents from 1915 at FO383/27 regarding Alfred Van Rompaey, an Australian British subject, and employee of Kreglinger and Fernau of London, prior to his internment at Ruhleben. From the handbook of the Ruhleben Football Association Season 1915, we learn that John Cyril Vasey was resident at 41 Lyndhurst Drive, Leyton, London, was born in Newcastle-on-Tyne on 28 JUN 1885, was a marine engineer arrested in Hamburg on 16 OCT 1914, and after a brief period of confinement on the Hamburg hulks was sent to Ruhleben, where he was interned in Barrack 1. C. Venables was noted in the first issue of the Ruhleben Camp Magazine (March 1916, p.16) as having given a nautical lecture entitled "The Sun". In the second issue of the magazine (April 1916, p.15), he is further noted as having given a further lecture entitled "Steering Gear and Telegraphs". "R. Venables" is noted in the seventh issue of In Ruhleben Camp as being "manager of a large engineering concern in this country" and as being responsible for handicrafts in the camp's school (Sep 1915, p.18). As "R. E. Venables" he was noted in the first issue of the Ruhleben Camp Magazine (March 1916) as having given a lecture to the M.E.A. Circle entitled "Work of Some Eminent Engineers". In the Scotsman newpaper of February 20th 1918, Venables' visit to the king at Buckingham Palace, with two other former Ruhlebenites, was noted. In the article, Venables was described as an Oxford engineer ("King Receives Repatriate Prisoners", p.4). 1914, to March 12th, 1918.
is 6 feet, 7 1/2 inches. Andries Ventner was one of one hundred and twenty prisoners released from Ruhleben in March 1918, who made their way to Rotterdam to proceed to England, as reported in The Times of March 9th 1918 ("Prisoners from Ruhleben", p.6, col. B). Ventner was described as a Boer who had been arrested in Dresden at the start of the war whilst working as an entertainer and then interned at the camp. Arthur Stanley Vickers is noted in a document in FO 369/710 as a 24 year old English assistant (to what is unstated) sent first to Berlin's Stadtvogtei on 14 AUG 1914 and then to Ruhleben on 9 SEP 1914. He had been residing at 16 Schönhauser Allee in Berlin. The information was originally compiled by the American Embassy in Berlin. Simply as Vicers it seems he was also listed as being at Ruhleben in a Foreign Office file in FO 369/710 dated 11 OCT 1914. The list was communicated to the Foreign Office by a Nurse Coe. Beside the typed name is written Trafalgar Horn Works, 2 Fitzwilliam Lane, Sheffield (with thanks to Simon Fowler). Bertram Vincent was recorded as a member of the Ruhleben Lancastrian Society in the Manchester Guardian of January 15th 1915 (p.12). The article is entitled "Interned in Germany: Lancashire's Civilian Prisoners: Full List of Those Detained at Ruhleben". His address was recorded as 24 Heswall Street, Aintree, Liverpool. The Liddle Collection at Leeds University holds items relating to the internment of E. R. Vincent, deposited by him in 1977, and now accessible under reference RUH 56. These are a letter from the Foriegn Office, dated October 14th 1914; a letter to his parents dated March 17th 1915; an issue of 'L'Eco' with assorted cover pages (June 7th 1917); three concert programmes from January 8th 1916; typescript notes; two printed caricature sketches of named Ruhleben prisoners; a colour cartoon of a Ruhleben horsebox from 1917; a programme of a demonstration in London relating to British Civil Prisoners of War, from February 26th 1917; a list of Ruhleben Association members; press cuttings with photographs and illustrations of Ruhleben; photocopied extract from typescript recollections; a note; prospectuses of work for Autumn terms at Ruhleben Camp School from 1916 and 1917; five Christmas cards from 1914 to 1918; an issue of 'The Ruhleben Camp Magazine' (June 1917); two pamphlets 'The Ruhleben Prisoners: The Case for their Release' and 'The Ruhleben Prisoners: The Government Attitude, Pamphlet No. 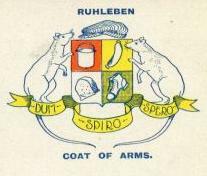 3' (1917); six postcards from 1916 and 1918; two Christmas cards from 1916; a map of Ruhleben from the Ruhleben Exhibition catalogue of 1919; a typed transcript of an interview recorded with Peter Liddle in April 1977, with the original audio recorded on tape 434; and a letter to Peter Liddle from A. M. Timpson of The Salonika Society, dated June 10th 1979. The online index tells us that Vincent was born in 1894 in Hampstead, London, and was studying German at Gotha at the outbreak of the war. Whilst interned in Ruhleben, he resided in Barrack 6 and then Barrack 11. After the war, Vincent became a professor. A. Vintzens was noted on a postcard from 1916 as being in Barrack 11's Loft, as now held by Dr. Manfred G. Heber of Grand Canria (with thanks to Dr. Heber). From the handbook of the Ruhleben Football Association Season 1915, we learn that Alfred Harry Vivien was resident at Alag, Budapest, was born at Alag 3 JUN 1890, was a jockey, was arrested in Berlin on 6 NOV 1914, and sent to Ruhleben, where he was interned in Barrack 1. Stanislas Voinarovsky was a Russian child temporarily interned in Ruhleben along with another Russian child, Peter Bondarencko. The two were photographed with one of the Ruhleben policemen, Constable Castle, the photo being published in the third issue of the Ruhleben Camp Magazine (May 1916, p.16). Volke is listed in the fourth issue of the Ruhleben Camp Magazine (August 1916, p.34) as having appeared in the play "Flachsmann als Erzieher". The National Archives in London hold documents from 1915 at FO383/56 regarding Cecil Von Hafen, a civilian prisoner of war at Ruhleben, namely a request for money to be sent to him, and an enquiry from Josiah Wedgwood & Sons Ltd., Stoke-on-Trent, regarding the advisability of doing so. It is not known if Graf Von Watson was a person in his own right, or a pseudonym for a gentleman called Rawcliffe. A poem written in the autograph book of W. F. Pinn (Barrack 11, box 7) is signed by him, but the name Rawcliffe is added in pen beneath it.